Living… in the dangerous American West. In a place where might equals right, The Stranger (aka The Man With No Name) has had to learn to speak with his actions rather than words. He’s learned that it doesn’t matter what one says, but how one handles a revolver that matters out here. Visiting… the Mexican border town of San Miguel. The town, he learns, is in the middle of a power battle between two rival families, the Baxters and the Rojo Brothers. Profession… killer for hire. The Stranger uses whatever he can to get ahold of a few dollars. Upon arriving in San Miguel, he sees an opportunity in the conflict between the Baxters and the Rojos. Interests… smoking his little cigars. A solider takes comfort wherever he can find it, and The Man With No Name always needs his trademark cigarillo tucked into the corner of his mouth. It’s a small pleasure in a spartan life. Relationship Status… single; he doesn’t have time for attachments. Though he’s recently taken pity on a woman named Marisol, Ramon Rojo’s unwilling mistress. Personality… stoic, silent, watchful, and just. The Stranger doesn’t go for frills. He can draw his revolver faster than any man in the West, a skill that he uses strictly for justice. The Stranger's popularity ranking on CharacTour is #2335 out of 5,000+ characters. See our top-ranked characters and read their profiles. 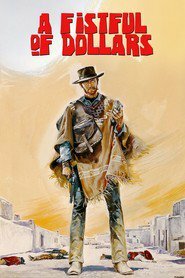 The Man With No Name enters the Mexican village of San Miguel in the midst of a power struggle among the three Rojo brothers and sheriff John Baxter. When a regiment of Mexican soldiers bearing gold intended to pay for new weapons is waylaid by the Rojo brothers, the stranger inserts himself into the middle of the long-simmering battle, selling false information to both sides for his own benefit.